The Sociology Department at UC Santa Cruz is proud to announce multiple funding opportunities for students. Learn about fully funded grants for study, research or English Teaching Assistantships in more than 140 countries. Fulbright Alumni Ambassadors Claire Manneh (Oman) and David Morales (Ecuador) will be on campus, sharing their Fulbright experience. Lee Rivers, Assistant Manager of Outreach for the Institute of International Education (IIE) will also be here to discuss details of the program and answer any questions. Light refreshments will be served. Seating is limited, it is recommended to sign up here. If you have questions regarding this event, please contact Alicia Haley (amhaley@ucsc.edu). Purpose: Blum Scholar grants are offered to highly motivated students enrolled and in good standing at UC Santa Cruz. Funds can be used to pursue community-based research either domestically or abroad on projects addressing poverty, social enterprise, or participatory governance. Projects must be completed by fall quarter 2016. More information and guidelines can be found at: http://blumcenter.ucsc.edu/academics/grant-opportunities/index.html. Read more about the UCSC Blum Center at http://blumcenter.ucsc.edu. Sociology students can submit their application materials to Tina Nikfarjam at tnikfarj@ucsc.edu. Purpose: This award is given to a Sociology major who has completed the best senior thesis on race, class, and gender during the academic year.Students who are currently working on their thesis but are not yet ready to apply, are eligible to apply in Spring of the following academic year, 2016-17. Students currently completing a thesis may apply for the award within one year of their graduation term. A letter by the senior thesis faculty advisor to the Sociology Department’s Undergraduate Education Chair, with a copy to the Department’s Undergraduate Advisor, nominating the senior thesis; specifying how it examines issues of race, class and gender, and describing the merits of the thesis. A letter by the nominee stating that a) s/he is submitting her/his senior thesis for consideration for the Sociology of Race, Class and Gender Senior Thesis Award, and b) that, should s/he receive the award, s/he is willing to have her/his name and the title of her/his senior thesis announced as the recipient of the award. The nominee submits one hard copy of the senior thesis as well as the PDF version of the senior thesis (emailed) to the Sociology Undergraduate Advisor, Tina Nikfarjam, College 8 Rm 224/226, tnikfarj@ucsc.edu. Award amount: varies each year, subject to funding. Open to: undergraduate and graduate Sociology students who graduated from a Santa Clara County High School. Purpose: Anne Jane "Fanny" Carruthers Howard died on February 15, 1972, leaving a portion of her estate in a trust to be used to fund scholarships for undergraduate or graduate students attending the University of California, Santa Cruz, who have need of financial assistance. This award is based on financial need and academic merit. Current undergraduate or graduate student of UCSC. Graduated from a high school in Santa Clara County. 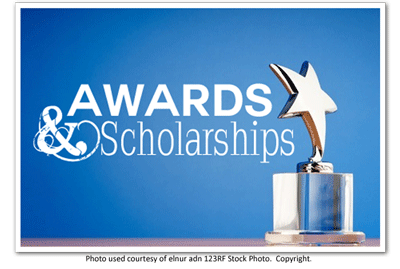 Submit a one page letter explaining why you are a good candidate for this scholarship. Indicate whether you are an undergraduate or graduate student, your student ID number, the high school you graduated from, and contact information including address and phone number. Submit a faculty letter of support. To Apply: email materials to the Sociology Undergraduate Advisor, Tina Nikfarjam at tnikfarj@ucsc.edu.